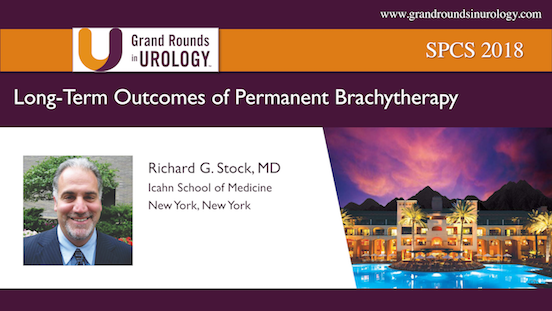 Richard G. Stock, MD, compares long-term overall survival and morbidity outcomes of brachytherapy alone versus a brachytherapy/ external beam combination in intermediate and high risk prostate cancer. 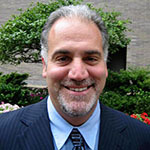 He also discusses factors that could affect those outcomes, such as the patient’s intermediate-risk features, duration of androgen deprivation therapy (ADT), and technique of seed implantation. Richard G. Stock, MD, discusses rectal toxicity related to prostate brachytherapy seed spacing and dosage. He then describes methods to reduce rectal toxicity, like combining brachytherapy with androgen deprivation therapy (ADT) and using balloon or hydrogel spacers.